It’s easy to forget how much you rely on your shoulders until illness or injury restrains their movement. 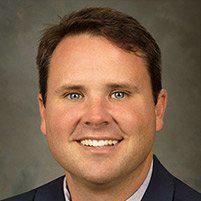 At Columbus Shoulder Surgery & Sports Medicine in Columbus, Georgia, orthopaedic surgeon Robert Lewis, MD, specializes in treating a variety of shoulder problems, including arthritis, bursitis, and fractures. He also offers platelet-rich plasma injections to speed tissue recovery. If you’re experiencing shoulder pain, don’t wait for it to slow down your entire life. Call or click online to schedule an appointment with Dr. Lewis today. Your shoulder is the most mobile joint in your body, allowing your arms to move and rotate in different directions. This increased range of motion can sometimes lead to instability, otherwise known as a dislocated shoulder. Once your shoulder dislocates, it’s more vulnerable to future dislocations. When your shoulder loosens and slips out repeatedly, it’s called shoulder instability. Bursitis involves inflammation of the bursa, a fluid-filled sac that helps lubricate your joints. This inflammation typically causes pain and lessens mobility. In severe cases, it may lead to a so-called frozen shoulder. As the name suggests, this condition involves stiffness and pain in your shoulder, making it very difficult to move. Also called broken bones, shoulder fractures often occur in your clavicle (collarbone), top of your upper arm, or shoulder blade. Arthritis is an extremely common and debilitating condition that causes inflammation in your joints. Shoulder arthritis causes pain and stiffness, restricting your ability to move the affected shoulder. The best way to find out exactly what’s causing your shoulder pain is to book an appointment with Dr. Lewis. How does platelet-rich plasma help shoulder injuries? PRP injections speed up your natural healing process at the cellular level by using blood drawn from your own body. How does an orthopaedic surgeon diagnose and treat shoulder pain? First, Dr. Lewis examines you to evaluate your symptoms and medical history. He may use imaging tests such as an X-ray. Once he’s diagnosed the cause of your shoulder pain, he discusses the best treatment options available. If your condition is minor, he may suggest taking medicines and doing physical therapy at home. If surgery is needed, Dr. Lewis uses the least invasive methods possible and may recommend PRP injections to enhance recovery. 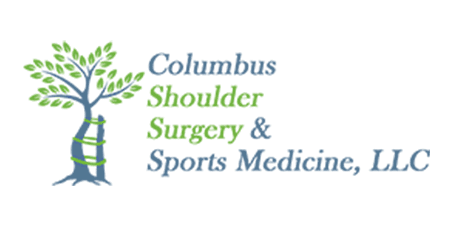 If you have dull aches or sharp pains in your shoulder that won’t go away, call or click online to schedule an appointment with Columbus Shoulder Surgery & Sports Medicine today.